Ceylon black tea flavoured with warm cinnamon, pungent cloves, and orange peels is a Christmas delight. 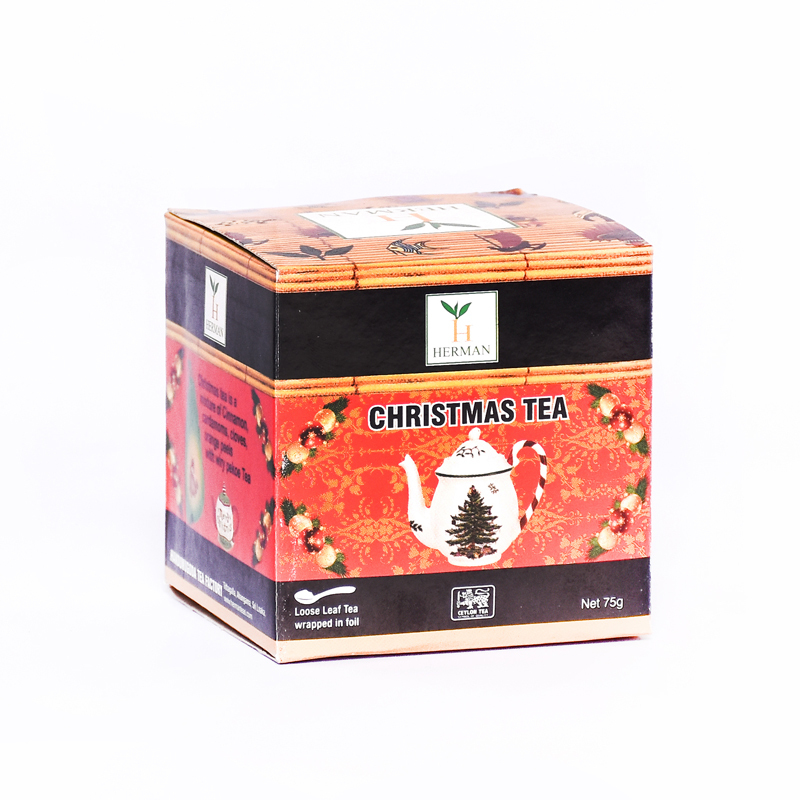 The Perfect Ceylon Tea to get you into the Chrismas spirit! This blend of bright, Wiry pekoe Ceylon black tea flavoured with sweet cinnamon, fresh cloves, and orange peels is a Christmas delight to be savoured. Spicy and fresh aroma, cozy with a well-balanced flavour and a slightly sweet finish. Perfect to sip while dreaming of a white Christmas!